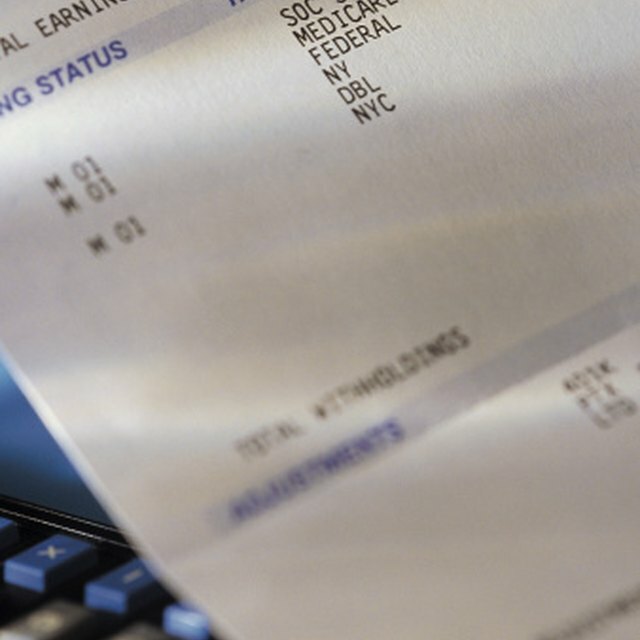 I Live in New Jersey & Work in Pennsylvania: Is My Employer Required to Withhold State Taxes? Both New Jersey and Pennsylvania are among the many states that require employers to withhold state income tax from employees who work in those states. On occasion, an employee might live in one state and work in another. If you are a resident of New Jersey who works in Pennsylvania, your employer must apply specific withholding practices. The New Jersey Department of the Treasury, Division of Taxation, and the Pennsylvania Department of Revenue administrate their states' respective income tax laws. New Jersey and Pennsylvania have a reciprocal agreement with each other, which means that both states mutually agree that employers within the state should not withhold the tax associated with the employee’s work state. Since New Jersey and Pennsylvania have a reciprocal agreement, if you live in the former and work in the latter, your employer is supposed to withhold New Jersey income tax instead of Pennsylvania income tax from your paychecks. Specifically, your employer withholds the tax for your home state and pays it to that state. If you lived in Pennsylvania and worked in New Jersey, your employer would withhold Pennsylvania income tax instead of New Jersey income tax from your wages. As a non-resident of Pennsylvania, you are supposed to complete an Employee’s Statement of Nonresidence in Pennsylvania and Authorization to Withhold Other States’ Income Tax, or REV-420 form, and submit it to your employer. The REV-420 form lets your employer know which state income tax to withhold from your paychecks. For New Jersey income tax, your employer uses the state withholding tax tables, or Publication NJ-WT, that matches your taxable wages and payroll period to figure out your withholding amount. New Jersey has a reciprocal agreement with only Pennsylvania; however, Pennsylvania has an agreement with New Jersey, Indiana, Maryland, Ohio, Virginia and West Virginia. If your employer withholds New Jersey income tax and you work in Pennsylvania, file your income tax return in New Jersey. If your employer withheld Pennsylvania income tax from your pay instead of New Jersey income tax, file your income tax return in Pennsylvania to get a refund. In addition, complete an Employee’s Nonwithholding Application Certificate, or REV-415 form, and give it to your employer to stop the Pennsylvania withholding.